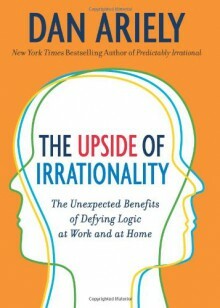 A relatively quick read, this book suggests that irrationality isn't bad per se, it just needs to be accounted for and utilized in the right situations. I guess I tend to fall more on the Spock side of the equation... a good book to read, and an excellent counterpart to predictably irrational. I was going to write a long review of this, but David's hit it right on the head. It's an interesting book but it suffers from too much padding and too many references back to Predictably Irrational: The Hidden Forces That Shape Our Decisions.